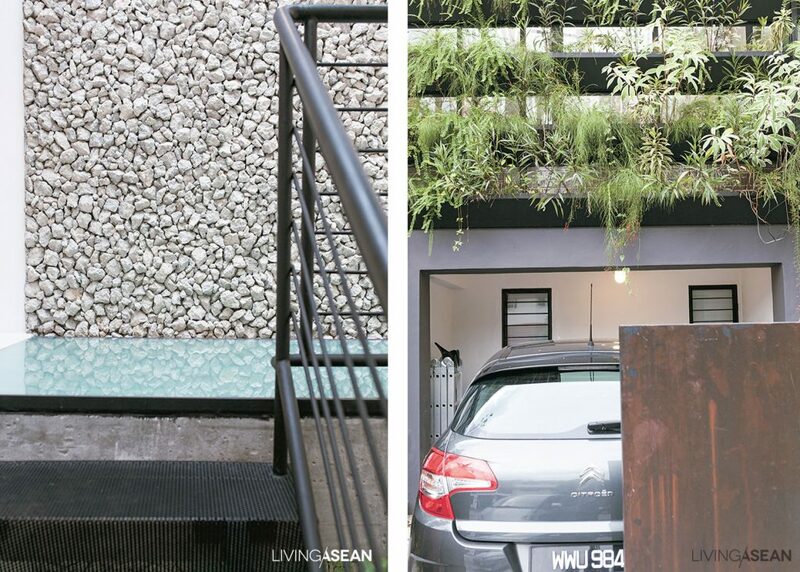 Only few windows are enough to make this urban home an airy, comfort one. 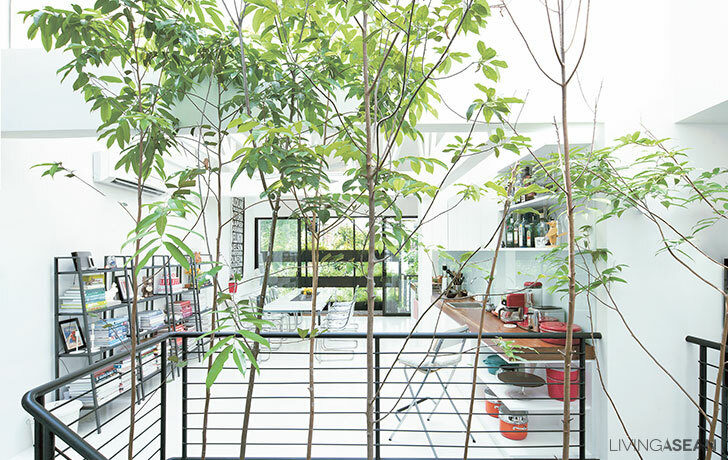 Growing trees add some freshness and makes a house more of a great place to live in. 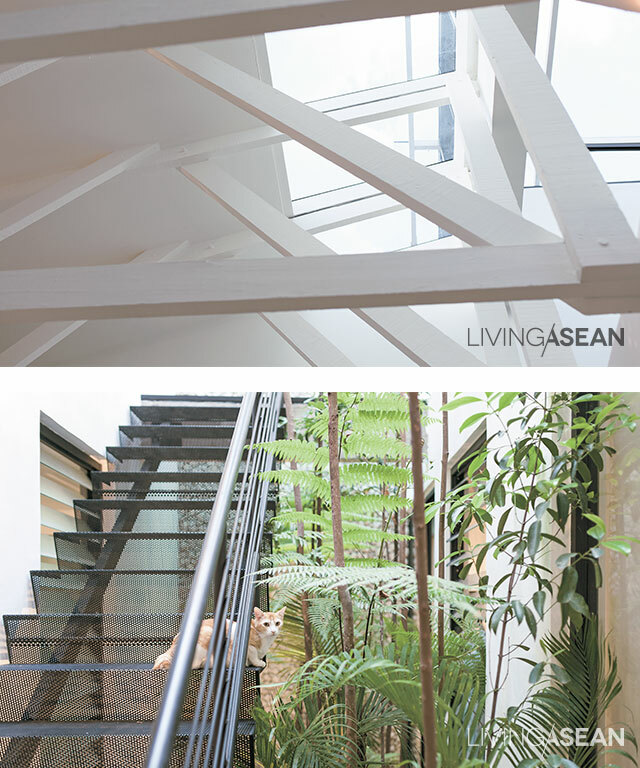 This home was designed and built in Malaysia by Tony Heneberry of JTJ Design under the concept of a great place to live in. 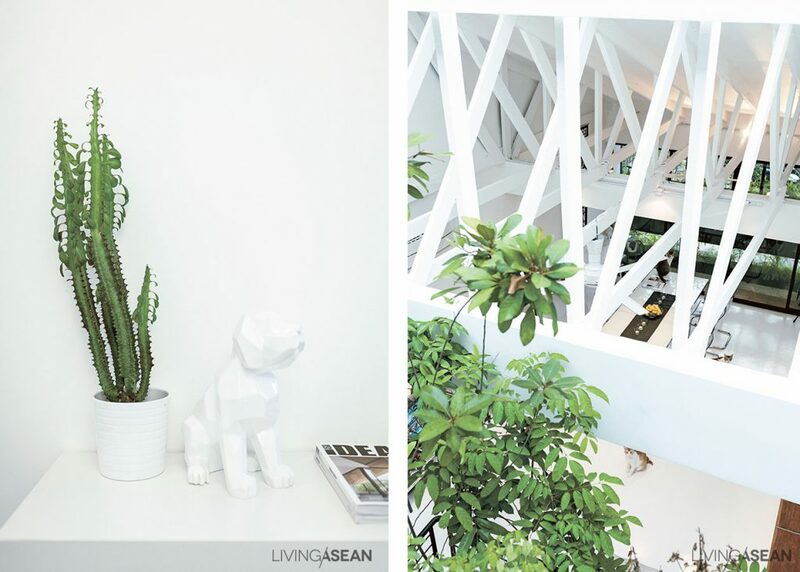 From a former shophouse, the designer has turned the final look into an incredible house. The makeover started when Heneberry bought two buildings. 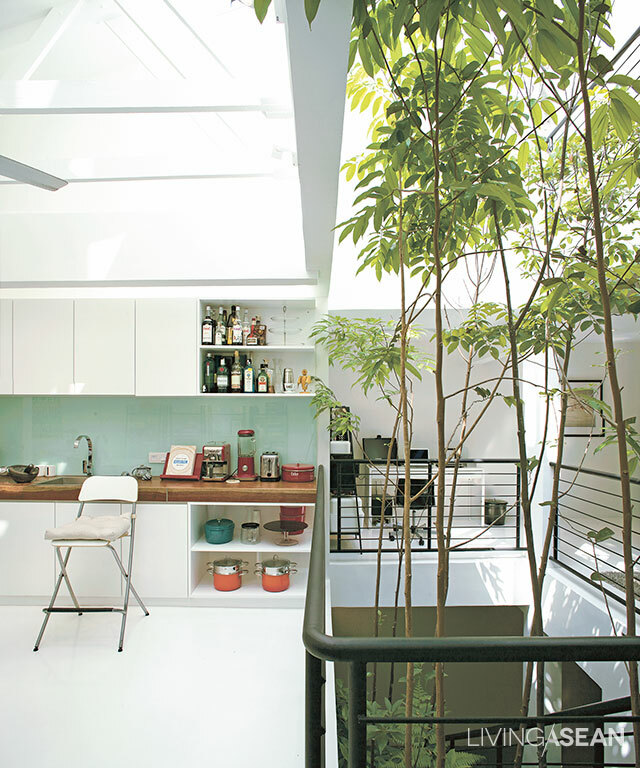 He combined two units together and torn down separating walls to increase usable space. 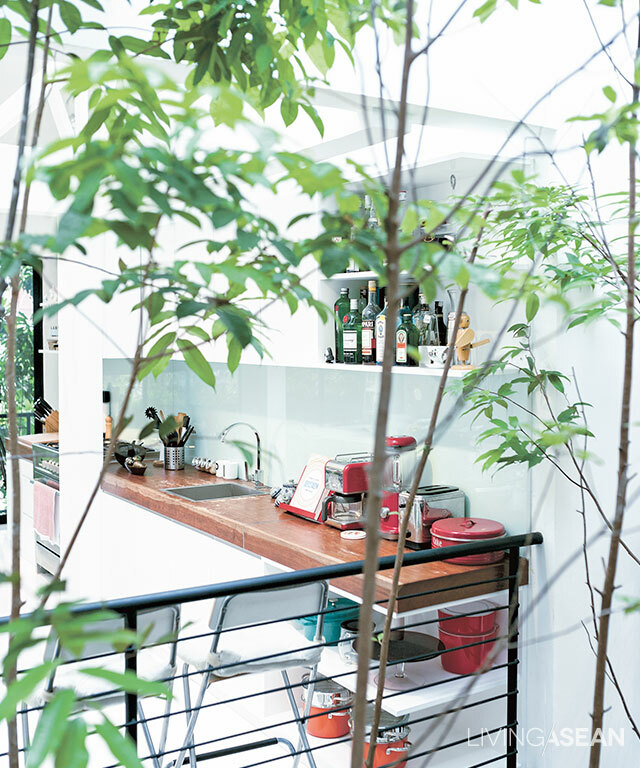 Cooking in this house is like cooking among the nature. The 7-meter-wide façade looks much wider when Henebery removed the walls and existing partitions to assign new functions to the space. The living room/ dining area on the second floors is spacious with a lot of open area, following the “open plan” concept. 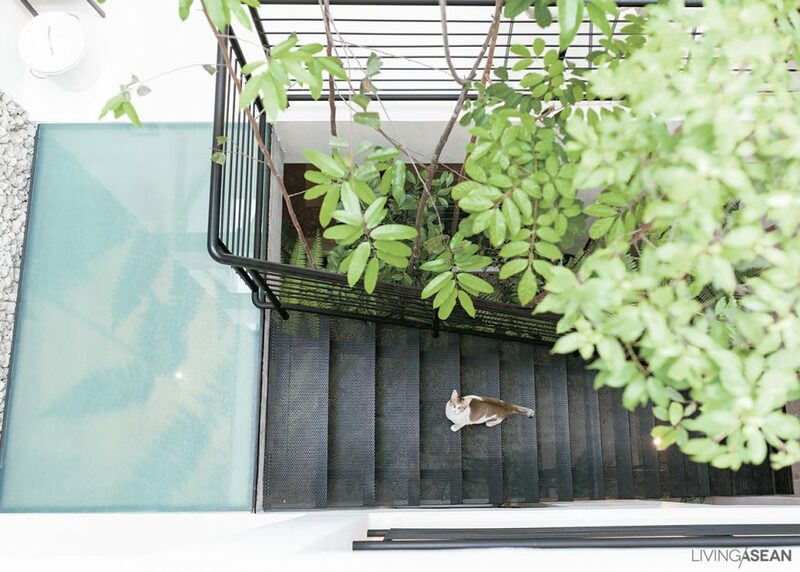 Plants chosen for the hallway have medium-sized leaves to keep the house airy and not too dense. 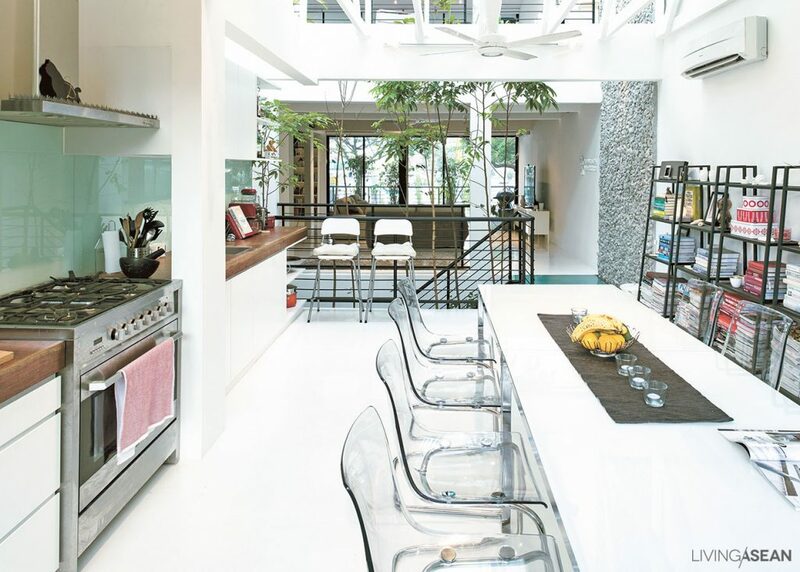 Using an “open plan” design means the interior is all connected, which avoids a cluttered look. The stairway with skylight roof is one of the spots everyone likes most. The house’s main staircase was torn down and rebuilt in a better location. New metal stairways sit in a hallway next to the central courtyard, leading the way to the second floor. 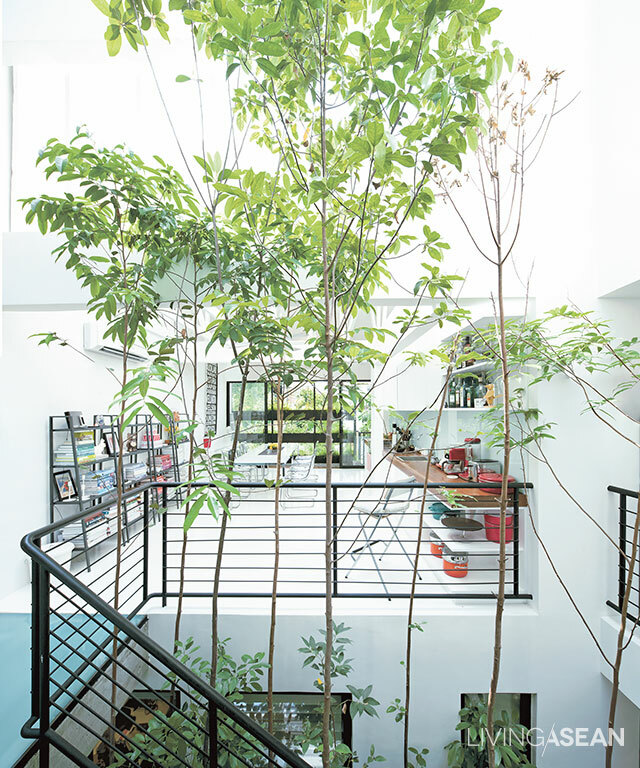 The courtyard is filled with tall trees, as a main relaxation area of the house where a glimpse of outdoor experience is bought inside in harmony. The trees also create continuity by naturally drawing the eyes towards the interior. The stair to the third floor was set in another location. It sits against the outer wall, to preserve the space inside, which is an area for work and rest. The wooden roof is painted all white. /// The metal staircase structure is aesthetically pleasing. At the top, a skylight illuminates the stairwell. The second floor ceiling levels with the roof to receive natural light. High-ceiling gives more airy feel to the house, to cover disadvantages from having few windows. As for the ventilation system, hot air is able to float up through the hallway, then flows out through window louvers and through the roof. Another plus is, this urban home faces south. So, by putting planter boxes on window frames, a simple vertical garden is added to filter sunlight and enhance privacy for residents at the same time.